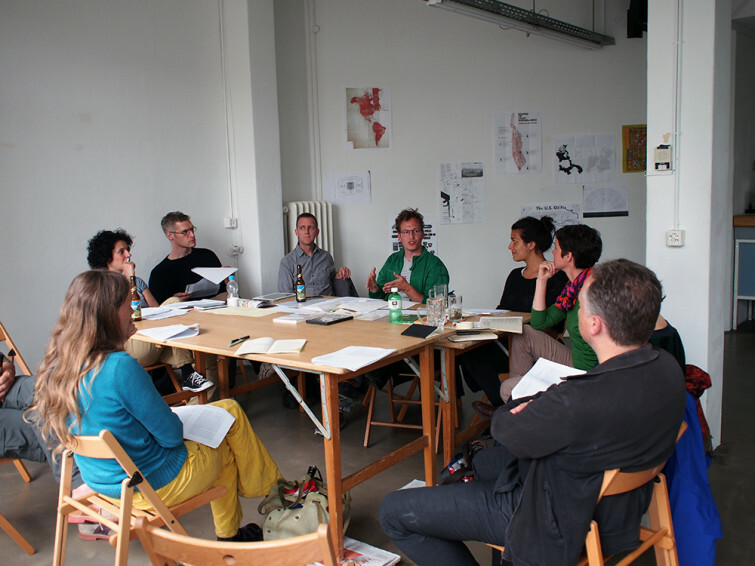 During this Practical Fridays workshop, Amélie Brisson-Darveau, Christoph Brunner and Jacqueline Poloni explored different kinds of diagrams, in artistic, performance and philosophical practices. Diagrams are strange devices and techniques which attempt to make relations tangible and at the same time evade straight formats of representation. They are expression in physical as much as in immaterial ways. This workshop familiarized the participants with diagrammatic practices as a means for tracing and enabling movement.